From last weekend. I staked out this spot for four hours hoping to see some rumored kits. No such luck. 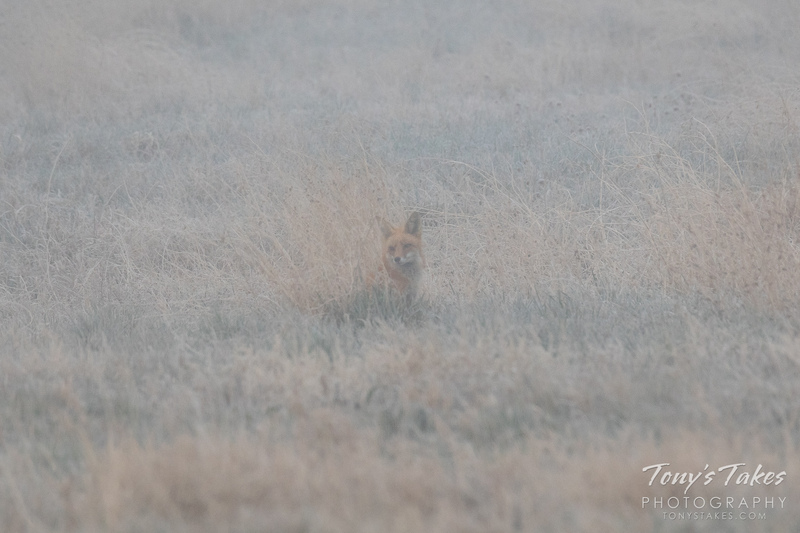 🙁 The only thing I got were these shots right after sunrise as a thick fog settled in. 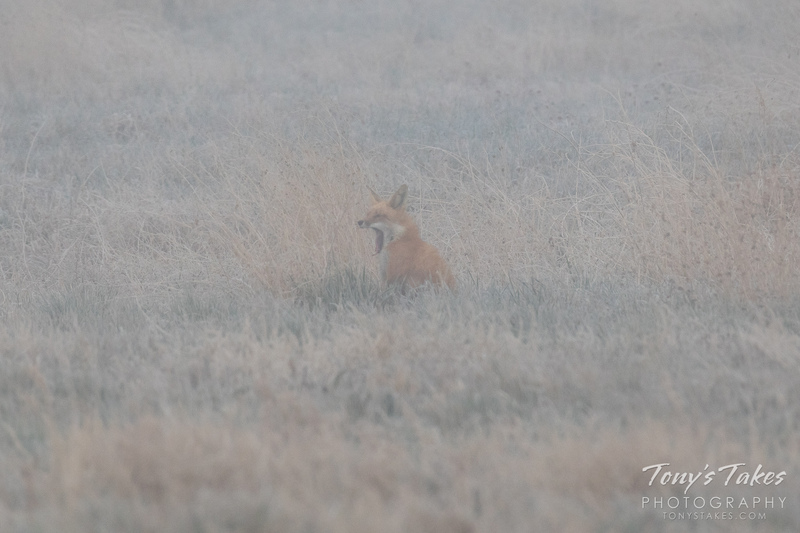 Naturally, as soon as the fog cleared, the fox moved out and disappeared. Still made for some neat shots in a way. 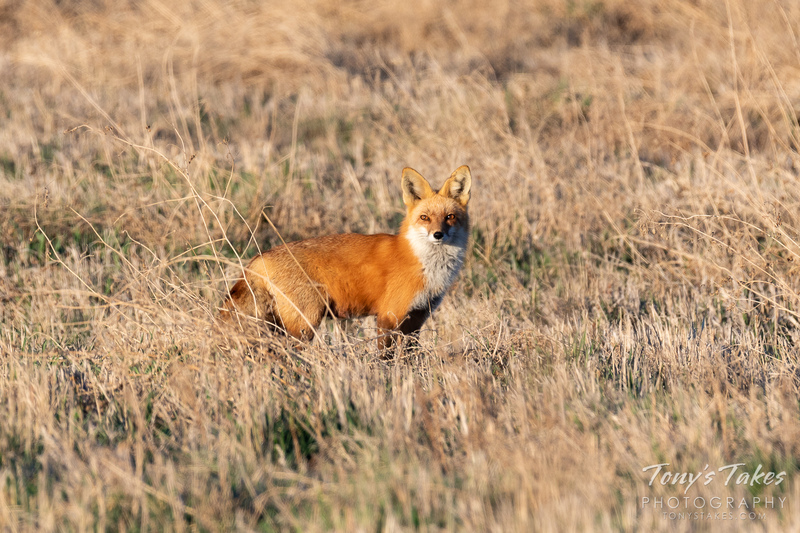 I haven’t had much of a chance to photograph these cool guys yet this year but got a few shots this past weekend. 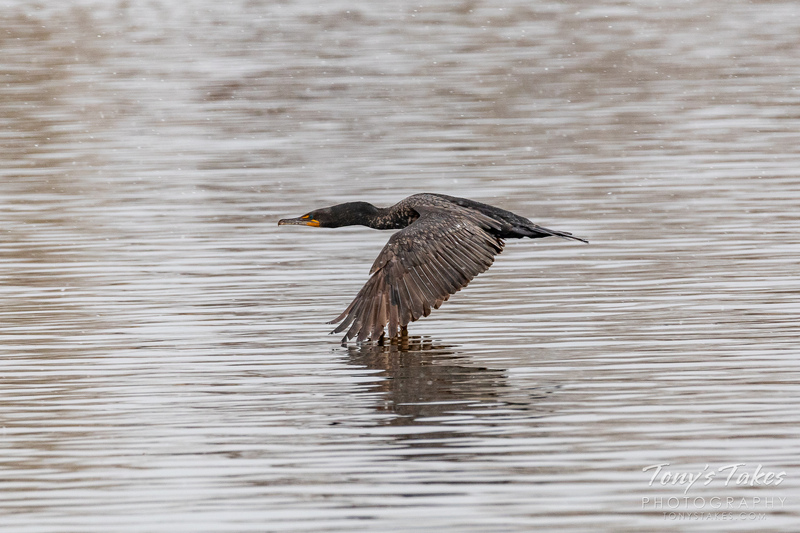 With light snow falling and light at a premium, I managed a decent shot of this double-crested #cormorant as it took flight across the waters of a pond. Quite a beautiful trio, eh? 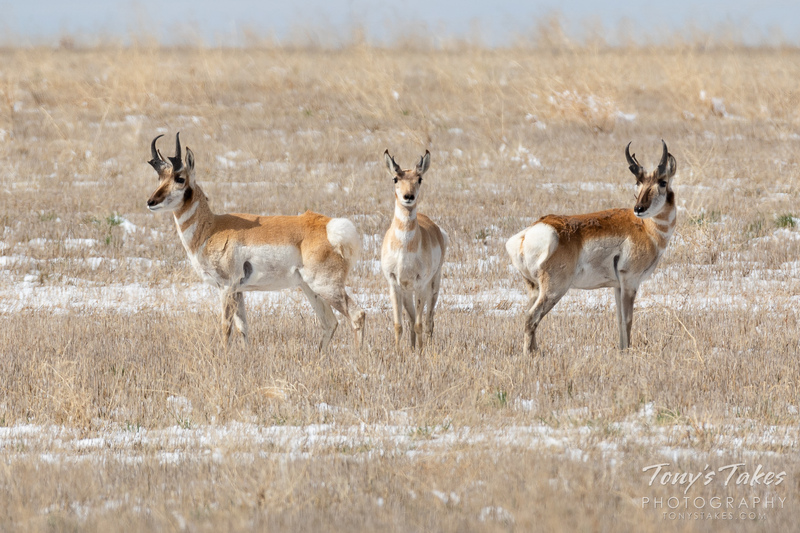 One of many images I captured of the herd that hangs out northeast of Denver International Airport. 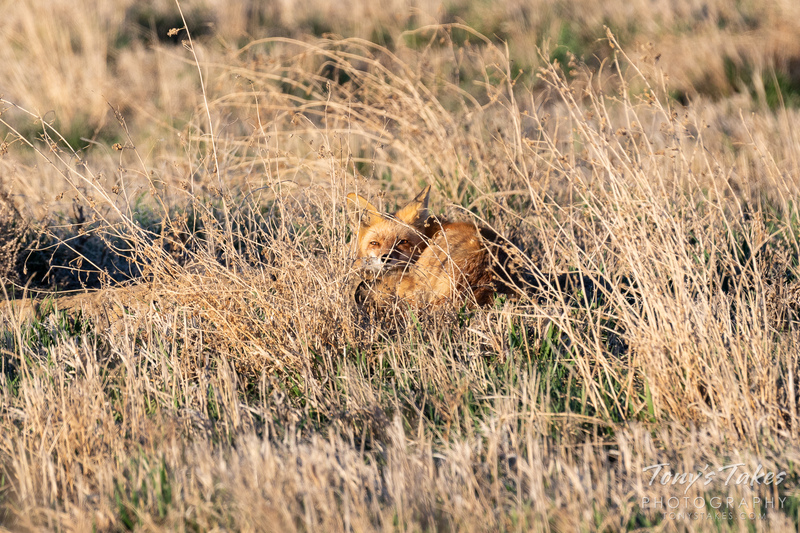 I hadn’t seen them in months so was very happy to have run across them on this day late last month. 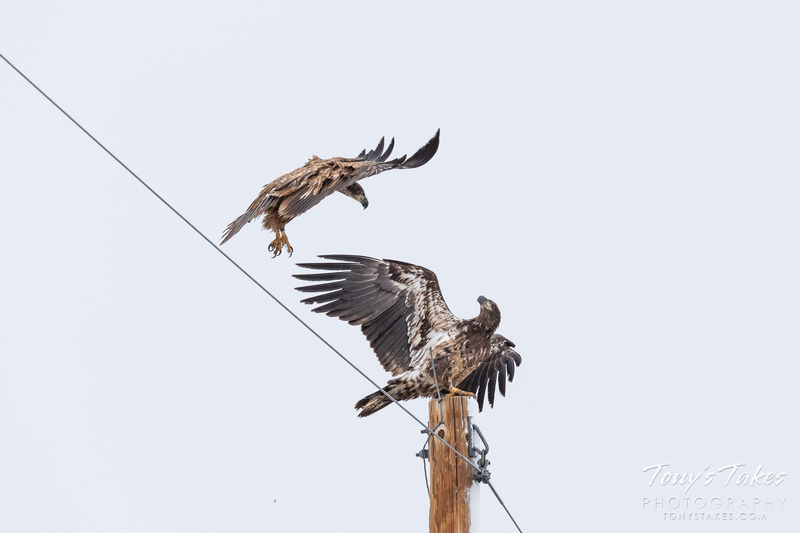 Not the greatest of weather for photography this morning here in Colorado but it did make for some neat captures. 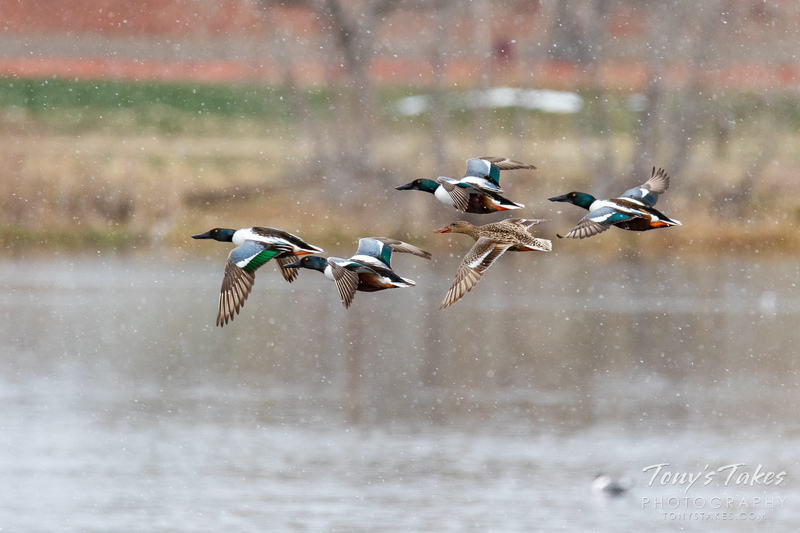 I snapped these ducks as they flew by at the Adams County Fair and Regional Park Complex during a snow squall. 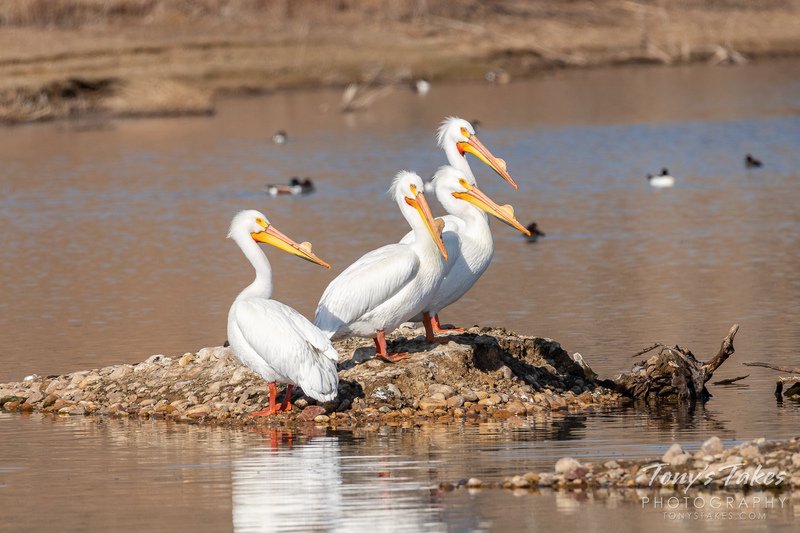 It always seems out of place to find pelicans in Colorado but I am glad these guys choose to hang out here during the summer. 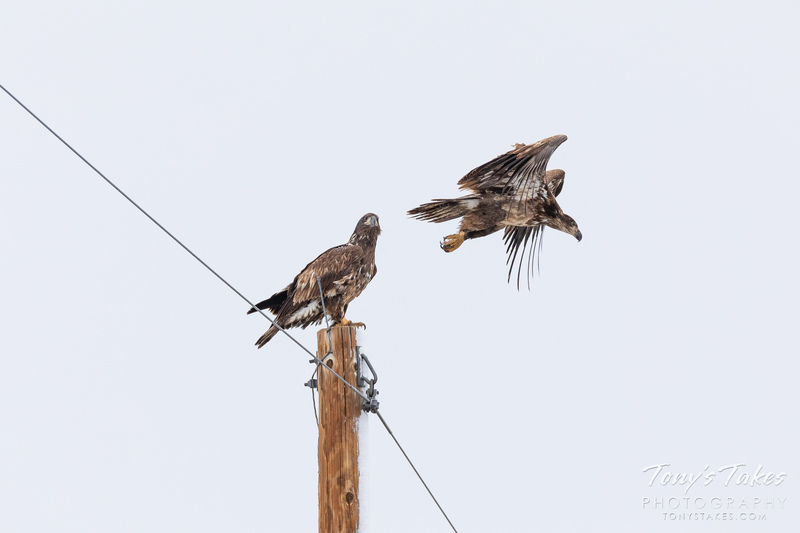 They are a bit goofy looking but also way cool and watching them fly is just awesome. 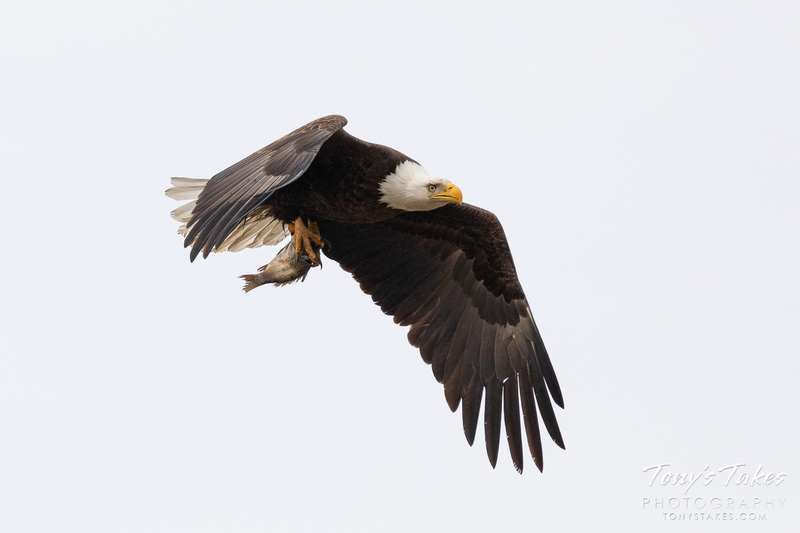 It is hard to believe a bird so big can glide so gracefully. 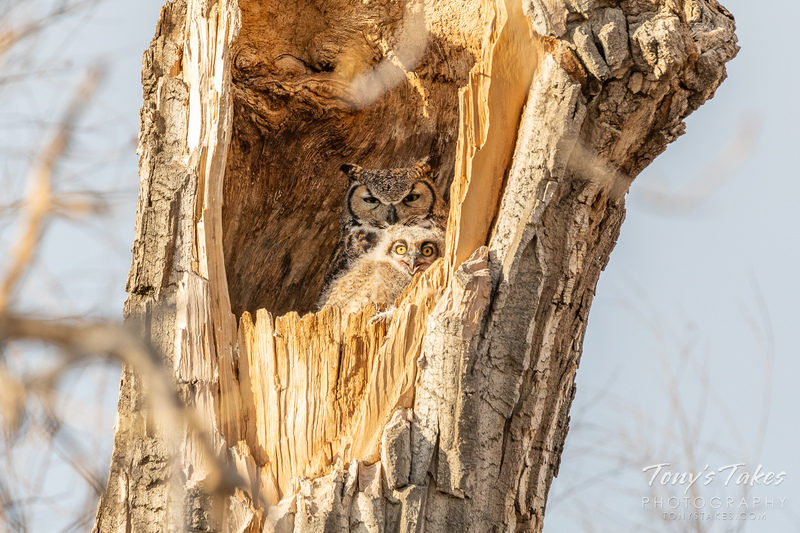 These four were hanging out at a pond in Weld County and had a nice little island all to themselves. A still photo to go along with the video I posted yesterday. There are two little ones in there although only one is seen in this image. 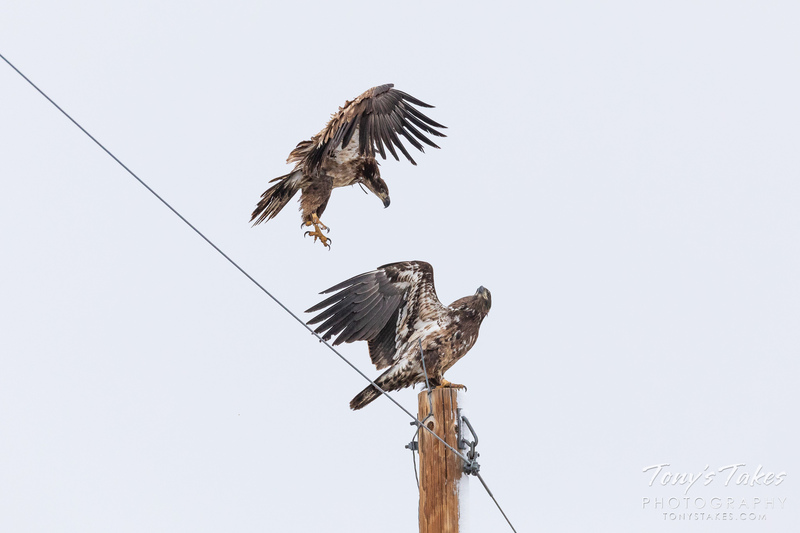 With another blizzard set to hit the Colorado Front Range tomorrow, I can’t help but worry about these and the other nesting raptors. 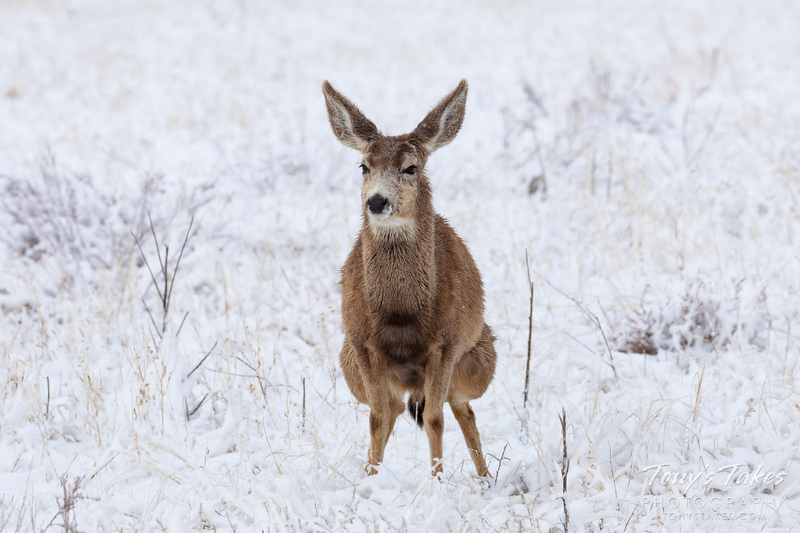 Invariably, some will not survive and while that is simply nature at work, it does not make it any easier. I’ll be keeping my fingers crossed all my feathered friends weather the storm okay.